If we don't confront climate change, we won't end poverty. But what I found particularly startling was the report's forecast of the impacts of 2°C warming. Given that the Earth has already warmed 0.8°C above pre-industrial levels, the 2°C climate milestone may not be far off. Under current greenhouse gas emission rates, we could reach this point in our lifetimes -- in maybe 20 to 30 years. How would this seemingly small shift in global temperature affect tropical regions? Here's a snapshot of what the report's scientists foresee. In Sub-Saharan Africa food shortages will become more common. Drought and heat will leave 40 percent of the land now growing maize unable to support that crop. Rising temperatures could cause major loss of savanna grasslands, threatening pastoral livelihoods. In South Asia, shifting rain patterns will leave some areas under water and others without enough water for power generation, agriculture or drinking. Events like the devastating Pakistan floods of 2010, which affected more than 20 million people, could become commonplace. More extreme droughts could stall power generation and turn rural fields barren, leading to lost income for farmers and widespread food shortages. In Southeast Asia, farmers, coastal communities, and large urban centers will face mounting pressures as sea levels rise, tropical cyclones increase in intensity, fish catches decrease, and coastal zones lose the protection of coral reefs. Many of these changes are already under way. Other changes are happening faster than predicted. This is a picture of regions undergoing "modest," not extreme, warming. The effects of a 4°C global warming calamity would be far worse. It's also crucial to note that, under either scenario, the poor will be hit first and hardest. This means that the people who are least responsible for raising the Earth's temperature may suffer the gravest consequences from global warming. That is fundamentally unfair. We humans -- all of us, everywhere -- have built lives, governments and cultures within a narrow range of climate conditions. But, as these regional studies clearly show, we are pushing those conditions to the limit. Storms, economic and social disruption, and pervasive hardship pose near-term threats to the tropical regions highlighted in the report -- but, eventually, these changes will affect us all. 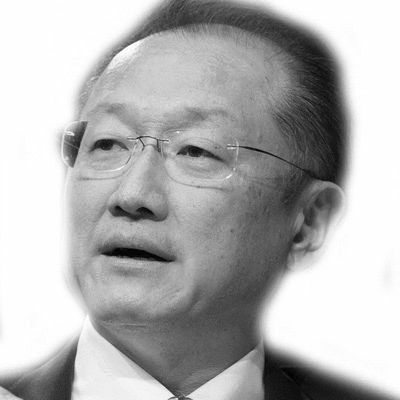 For the World Bank Group, the steps are clear. First, we accept the science that humans are changing the climate. We are looking at all our business operations through a "climate lens." Today, the Bank is helping 130 countries take action on climate change. We are supporting on-the-ground action to finance projects that help the poor grow their way out of poverty and increase their resilience to climate change. Last year, we doubled financial lending that contributes to adaptation; this trend will accelerate in the future. Second, the Bank is taking decisive steps on mitigation. We are helping countries identify cost-effective options to reduce emissions, and exploring opportunities to deliver co-benefits, such as climate smart agriculture and resource efficiencies. The Bank's infrastructure lending portfolio has moved toward less carbon intensive projects, and the share of renewable energy in our energy projects has doubled over the last five years. Countries must adopt aggressive national strategies for emissions reductions, and then show the political commitment needed to deliver on them. Innovation in energy efficiency and renewable energy will also prove vital to reducing carbon emissions. And countries -- developed and emerging -- need to make major headway in rolling back the $1.9 trillion in annual fossil fuel subsidies. I am convinced that we can end extreme poverty in this generation. But, as this report makes clear, we won't get there without taking immediate, decisive steps to slow climate change. Join us in this fight.